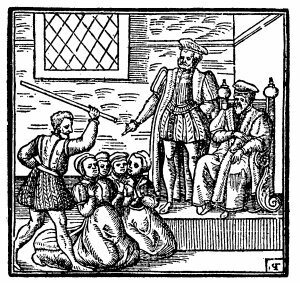 The first text presented here, written by James I of England, is a wide-ranging discussion of witchcraft, necromancy, possession, demons, were-wolves, fairies and ghosts, in the form of a Socratic dialogue. The second text is a sensational historical account of Scottish witch persecution and is one of the sources cited by Margaret Murray. I have taken some care to transcribe these historical documents letter for letter, without any attempt at correction or modernization of spelling. These documents exemplify the convoluted intellectual rationalizations used to justify the barbaric witch hunts. The texts were scanned from an early 20th Century reprint.